One of the tools in my toolbox....and I have an actual rolling toolbox I keep some of my modeling supplies in, is what others have called a "Miracle Wash". This stuff is great...and pretty cheap. 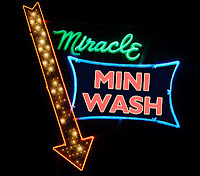 What is Miracle Wash? Well before I answer that I should explain what a wash is. A wash is used in miniature/modeling building to highlight shadows and add visual depth to the model. Usually a darker color is used as a wash that "washes" over the object being painted. It settles into the cracks and folds and really adds a lot to the finished item. There are commercial washes on the market, but you could simply dilute your normal paints with water and use that. If you do this you might want to add a drop or two of dish soap, or Jet Dry to help make what is often referred to as "wet water". Wet water simply has a reduced surface tension that lets it flow a bit easier. 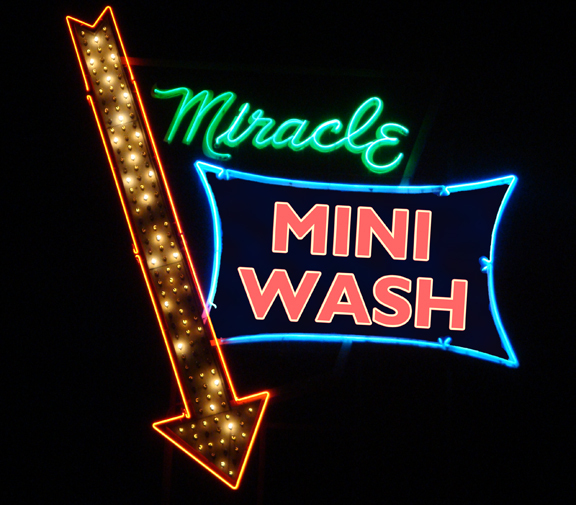 A step up from "simple" dilution is to create a Miracle Wash. Miracle Wash isn't much more than Future Floor (now renamed Pledge Premium Finish with Future Shine) Wax and water. Mix the Future with water at about a 1:4 or 1:5 wax to water ratio. A small bottle will last a long time. Use this water to make a simple wash and your efforts will be richly rewarded. The wash will hold much better in your models, self-level some, and resist gravity just enough. The floor wax is an acrylic formula similar to many craft paints and it mixes evenly. I generally use a darker shade than my base coat and I'm done in a flash. On the plus side, that bottle of floor wax can also be used to put a protective coat on your finished minis or models. It will give a strong protective finish that will be quite shiny. I'm not a fan of the shiny finish, but if you want tough (and cheap) protection it works out quite well. That one bottle will set you back less than $10 but is equivalent to cases of spray-on sealants/protectants. There are a couple of ways of applying a wash. When I have several colors close together I tend to make it a bit thicker and apply several different washes individually so I can match the colors to the base coat. I could also have chosen to just use a simple black wash and dump it over everything, but that is a bit messy for my tastes. With some items, particularly "stonework" pieces, I usually thin my wash down a bit more and apply it liberally. When there are a lot more deep cracks and crevices I really want to get the wash in there. Once applied I'll use a paper towel to wipe off the excess wash on the surface of the piece.